Or, in other words, a budget designed to prepare for a post-Brexit world and to honour the prime minister’s pledge to end the era of austerity. So how did that translate into tax policy decisions? Well, it translated into a net £5 billion tax giveaway over the period to 2023-2024. Many tax-related announcements feed into that net £5 billion. Here are some of the key tax announcements. Despite avoiding Halloween for the delivery of his budget, FANGs were clearly on the chancellor’s mind. As widely anticipated, he announced the introduction of a digital services tax (DST) with effect from April 2020. Thereby choosing to act unilaterally ahead of reaching a consensus at an international level. This new tax narrowly targets the tech giants – of which the four highest-performing technology stocks in the market are often referred to using the acronym FANG – for Facebook, Amazon, Netflix and Google – and is expected to raise £1.5 billion over the next five years. DST will be charged at a rate of 2% on revenues of digital businesses that fall into the specific categories of search engines, social media platforms and online marketplaces. The 2% will apply to revenues from those activities linked to the participation of UK users, subject to a £25 million per annum allowance. And it will only apply to groups that generate global revenues from these types of activities in excess of £500 million per annum. There will be a ‘safe harbour’ provision to exempt loss-making organisations and reduce the applicable effective rate of tax on businesses with very low profit margins. The DST legislation will be introduced in the Finance Bill 2019-2020 following consultation to determine the details. The chancellor acknowledged the work of the OECD in this area and confirmed that, if an international consensus solution comes out before April 2020, he will consider adopting that provision instead of acting alone. The government will seek to introduce targeted relief for the cost of goodwill (the amount paid for a business that exceeds the fair value of its individual assets and liabilities) when buying businesses with eligible intellectual property from April 2019. The definition of 'eligible intellectual property' is not clear yet. With effect from 7 November 2018, the government will also reform the de-grouping charge rules, which apply when a group sells a company that owns intangible assets. These changes were coupled with the announcement of support for Britain’s high streets to help them evolve in the face of challenges from changing consumer behavior. From April 2019 retail properties with a rateable value below £51,000 will receive reductions to business rates for two years. The chancellor announced he will extend the public sector IR35 changes to medium and large private sector organisations with effect from April 2020. This will impact all medium and large organisations that engage with contractors, freelancers or consultants through a limited company (PSC) or agency arrangement. Normally the PSC is responsible for operating PAYE and NIC where it works for a private sector company. HMRC has amended the rules so that the engaging company will have responsibility for assessing whether the engagement is caught by IR35 and the fee payer (which is now the private sector company or another entity in the supply chain, like an agency) would be responsible for operating PAYE and NIC. Entrepreneurs’ Relief was the subject of much pre-budget speculation, due to its cost. 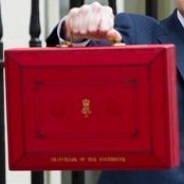 The chancellor made some targeted amendments in the budget that, while not affecting the main substance of the relief, are estimated to raise around £280 million over the next five years. These changes are unlikely to affect owner managers with large shareholdings, instead aiming for shorter-term investors and those without sufficient economic rights. The new rules will extend the period for which the qualifying conditions need to be met from 12 months to 24 months for disposals from 6 April 2019. They have amended the qualifying shareholding definition with immediate effect to require 5% of economic rights as well as share capital and voting rights. This is a serious blow in many ongoing and historic buyout structures where management have shares with less than 5% of the economic rights in the company and have historically qualified for relief. A large number of these individuals will have seen their Entrepreneurs’ Relief eligibility disappear in an instant. It remains to be seen how this alters commercial terms in future transactions and whether there is an increase in the use of other tax efficient incentives. Grant Thornton is one of the world's leading organisations of independent assurance, tax and advisory firms. We help dynamic organisations unlock their potential for growth by providing meaningful, forward looking advice. Proactive teams, led by approachable partners in these firms, use insights, experience and instinct to understand complex issues for privately owned, publicly listed and public sector clients and help them to find solutions.